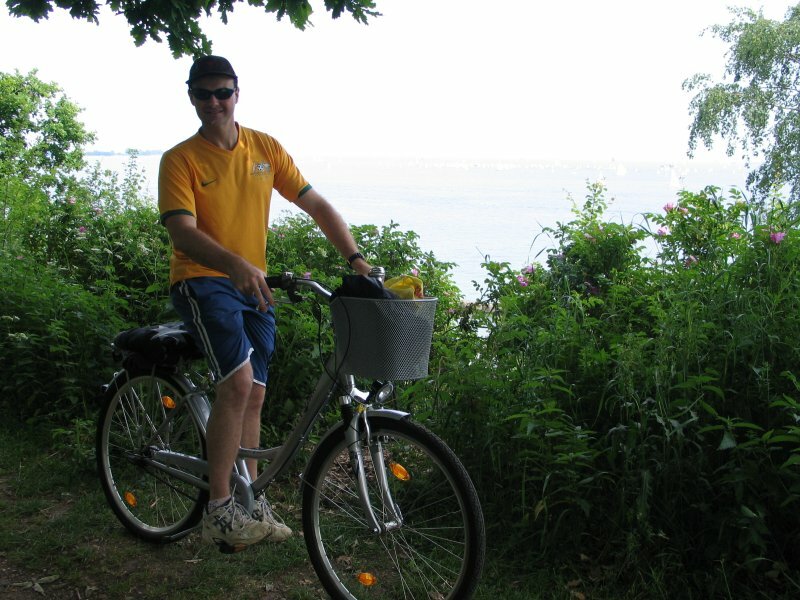 Cycling in Northern Germany is extremely popular. Around Kiel there are bike lanes everywhere, and many (and I mean many) people are taking advance of this method of transportation. 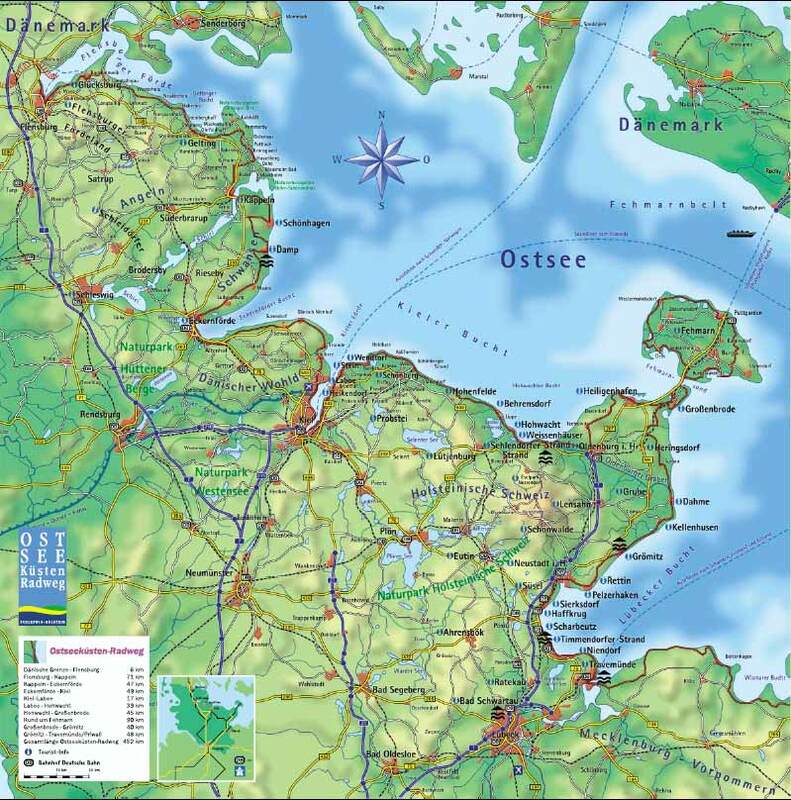 The state in which Kiel is located is called Schleswig Holstein. 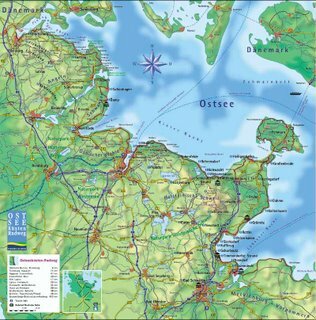 One of the reasons that cycling is so popular here is because Schleswig Holstein is extremely flat! There are no mountains, hills, or major elevations! Compare this to living in Mt Gravatt East in Brisbane. I couldn’t think of anything worse than getting out on the bike and riding up and down the hills (I know I was lazy when I lived there)! I remember riding to work once, and then having to get my dad to pick the bike up in his ute, because there was no way that I was going to ride back home! 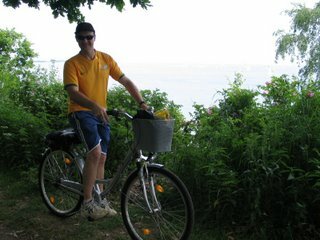 Here I love riding, and will be doing heaps of it while living in Kiel. There are hundreds of KMs of bike tracks in Schleswig Holstein. These tracks go right up into Denmark. The map below is a good indication of how much riding you can really do here. The yellow lines represent bike tracks. Now for the wheels! Take a look at the hog I am riding! It is a beast! In the future I might decided to ride Britta’s far less girlie looking bike. On this bike I feel like something out of the “Wizard of OZ”! !